Gout is a common form of arthritis that is characterized by attacks of pain, swelling, stiffness, redness or tenderness in the joints. These attacks or flares typically affect one joint at a time. They can occur suddenly and return over time. Gout is caused by an accumulation of urate crystals in the joint. Urate crystals form when there are high levels of uric acid in your blood. Uric acid is produced when your body breaks down purines; substances that are found naturally in our bodies and in foods such as steak, seafood and organ meats. Alcoholic beverages and drinks sweetened with fructose (fruit sugar) are known to promote higher levels of uric acid in the body. Men are more at risk of developing gout than women; this is because women tend to produce lower levels of uric acid. Men are also more likely to develop gout at an earlier age than women. In men, symptoms may occur as early as the age of 30, and in women after menopause. 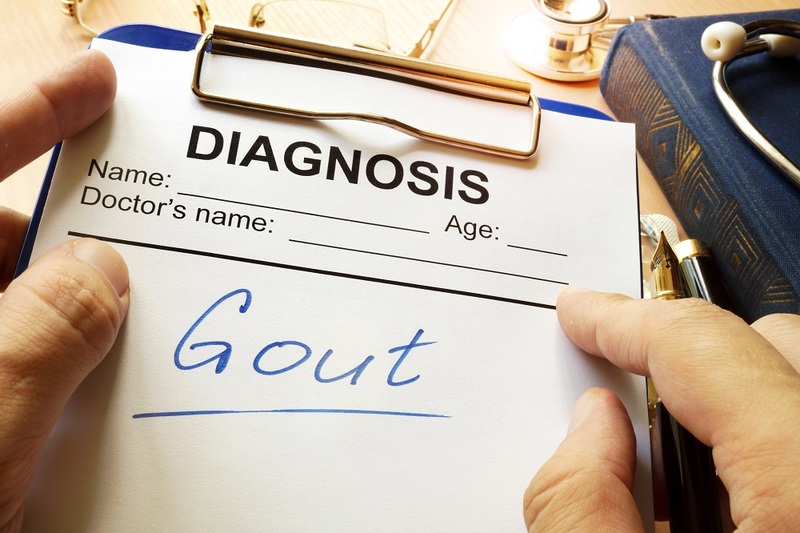 If you are experiencing symptoms of gout, or believe that you may be at risk, make an appointment to see a physician. Your doctor may order a series of test or assess your current state of health to receive a diagnosis or to determine if you are at risk. This entry was posted in arthritis, General Health and tagged arthritis, gout by Xavia Malcolm. Bookmark the permalink.